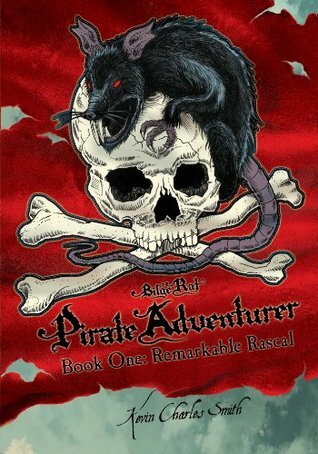 Bilge Rat – Pirate Adventurer is a three part series drawn from the imagination and investigation of Kevin Charles Smith in this remarkable debut. Described as “Mutiny on the Bounty meets Pirates of the Caribbean with an Oliver Twist”, this first volume is written with incredible detail and historical accuracy. William Eden and brother Toby are two helpless orphans in early 1700 London. Taken in by an aged clerical uncle, the boys are assigned specific maintenance duties in the cavernous Saint Agnes of Agony Basilica. By day, their duty is to clean, wax and maintain the aged facility for their uncle whose failing eyesight prevents his presence or assistance. Each day the lads are also provided a lesson de jour by their learned and caring relative who bestows upon them quite a solid education. One day, while William is practicing his language lessons, he utilizes the natural echo-like chamber of the empty basilica to ensure his translations are precisely correct. In the process, he discovers that he has a natural talent that enables him to duplicate all manner of sounds and voices. From that point on, he decides to keep his fabulous talent secret and changes his name to Echo thereby hiding this special talent in plain sight. By night, the boy s assignment is to venture down into the creepy bowels of the church to eradicate the pesky rodent population. Charged with a daily bounty of 25 tails or be penalized their one daily meal, Echo devises a variety of methods to reach their rattail goal . In the end, Echo duplicates rat speech (at least rat squeaks and squeals) and like the fabled Pied Piper leads the odious cellar dwelling creatures to their doom. Due to this ability to easily capture their prey, the boys have time on their hands and begin exploration of London at night. Their travels take them to Slugger s Emporium, a gaming and drinking establishment for the wicked and depraved. These nightly excursions also take them to the London docks where they routinely trespass on various docked ships for fun and excitement. On one such vessel they are discovered by a kind hearted cook named Handy, who befriends them and regales them with exciting stories from his many voyages. At the same time, the brothers are tormented by a vicious bully named Scarf Rockingham. By a series of unique ruses, Echo implicates Scarf in a number of dastardly deeds which leads to the villain s punishment thereby establishing an undying hatred for the brothers. Scarf eventually abducts Toby and savagely murders their aged uncle implicating Echo for this horrific crime. Echo is forced to flee his homeland and joins Handy for a voyage to the New World. Beginning as a cook s assistant, Echo learns the vital art of navigation and survival aboard ship. Haunted and persecuted by the vessel s bullying first mate, Echo must devise all manner of tricks and gambits to simply remain alive. Along the way, he saves both the ship and three aged traveling sisters from a band of bloodthirsty pirates earning the respect and gratitude of all.